So what’s the best strategy to improve workplace collaboration? 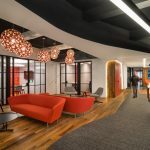 Some companies are slow to respond to the changing demands of the physical workplace. This can lead to concerns about lack of collaboration if too many employees decide they work better at home or at the local coffee shop. That’s why John Arenas, CEO of Serendipity Labs, recommends that companies start with the premise that collaboration can’t be engineered, only supported. 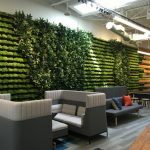 Brett Martin, founder and CEO of Sonar, said that investing in better technology and bringing together employees in the same physical space are equally important for workplace collaboration. For Waber, face-to-face interaction and fresh perspectives are best found in his company lunch room. In his view, this collaboration increases productivity. Waber, Arenas, and Martin will be at WORKTECH New York on May 15-16 to discuss how we will all work in the future — and how those changes can deliver greater productivity and employee satisfaction.